It’s that magical time of year — the Solstice is upon us! The Solstice always harkens the zodiac sign of Cancer, which means that my birthday is just around the corner, gang! And even though I will somehow be turning 55 (!!!) 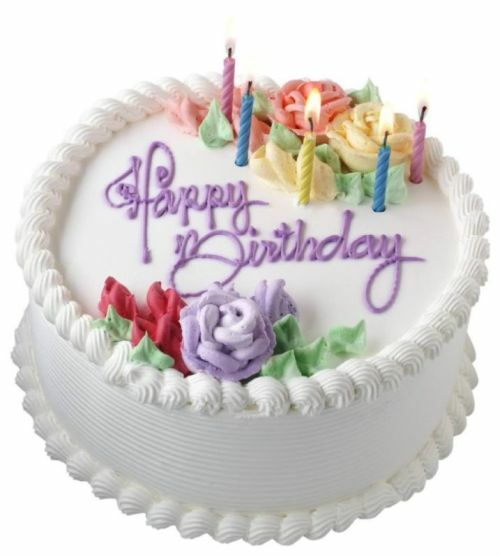 for some hard-to-fathom reason –since I always feel about 12— I never get tired of birthday cake!! So, Happy Solstice, folks! I don’t even care that it’s going to rain the whole darn weekend, I am digging it! Oh, and another thing I’m digging is GreenBeanDelivery.com. It’s a group of local, organic farmers. Every week, I now get a ton of fresh, organic fruits and vegetables delivered right to my wee bonnie door. 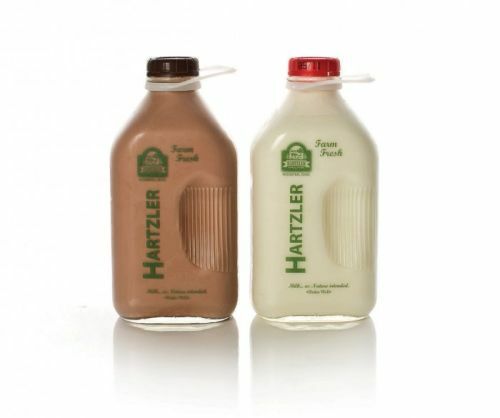 I even get Hartzler’s milk delivered straight from the farm in the old-fashioned bottles! I love it. The milk is a little pricey, but the rest of it is comparable to buying organic produce in the grocery store, but doing it this way directly supports local farmers. 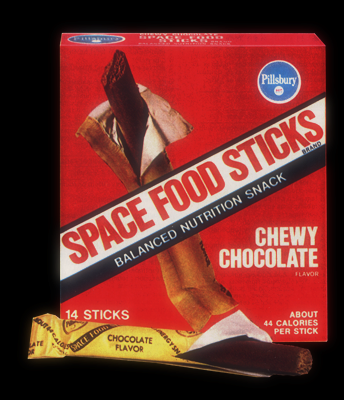 Space Food Sticks — Blast off, gang!! 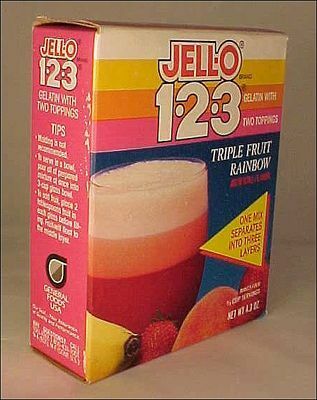 Jell-O 1-2-3. It looked stunningly beautiful in the parfait glass! Thanks, mom!! 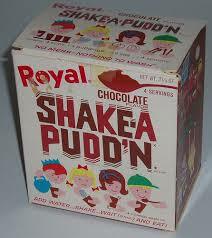 The totally awesome yet highly suspect Shake-A-Pudd’n!! You can’t touch the 1960s for that unbeatable equation of Food + Gimmicks = So Bad For You!! Yippee-ki-yi-yay!!! Okay…Here’s something else I am planning to do once I finally relocate and can settle down again: WWOOF (World Wide Opportunities on Organic Farms). You have to join the organization first, then you get yourself there (requires a passport & visa if you’re going overseas), but then the farmers provide your room and meals for free. In exchange, you work/study 4 hours on the farm each day, and then have the rest of your days/nights free. And you can go anywhere in the world where there are organic farms. I’m actually more interested in staying on a farm that’s local/regional, and learning about organic farming. I’m more interested in that part than in the traveling part, but it’s a pretty cool way to see the world, too, if you’re into ecological-agricultural things. (For instance, wouldn’t it be awesome to stay on an organic farm in Provence?) (Assuming you ever wanted to step foot in France again, that is. The jury is still out on that for me because I had such a horrible, horrible, HORRIBLE time the last time I was in Paris….) Anyway, I think it is such a cool organization. Okay, well, through some sort of SNAFU in both the weather and the AC in my car, my weekend trip was canceled and I now have almost 3 complete days to myself (except for 2 hours of teaching on Monday morning). I am in awe of this development! I have a short paper to write for school, which will take maybe an hour, and the rest of this weekend, I’m going to spend feeling sort of like a human being. I cannot wait! So, enjoy the Solstice, gang, wherever you are and whatever the wonderful world throws at you. Thanks for visiting, folks! See ya! No, the subject line, “free at last,” does not mean they have given me a date yet for my move back to New York. It means that I am now living alone again — for the first time in 5 years. I’d been renting out one of my furnished guest rooms for a while now and my tenant moved out on June 1st. In anticipation of my house being torn down, he opted to go get his own place. I don’t blame him! And as much as I wasn’t relishing the idea of living alone again, I discovered that I TOTALLY dig it!! First of all, I am somebody who likes to clean. Actually, I love to clean, although I’m not OCD about it, as some of my dearest friends (read: Kevin) are. But the guy I was renting the room to was young and not on the same wave length as me when it came to cleaning. However, now my house is feeling like my home again! I can clean it one day, wake up the next day and …. it’s still clean!! Even with all these cats!! So that feels great. No, I’m not trying to show you the food I eat. 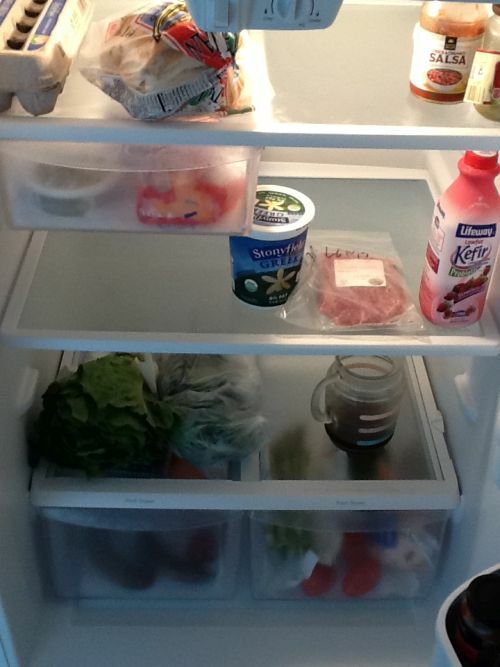 I’m showing you how I like my fridge to look when I open it!! Yippee ki yi yay! All right! As usual, I’ve been busy. Some of it, not so good, since a very good friend of mine’s wife died the other day and it has been heartbreaking. He is moving back to the West Coast now, to be near his kids. I am going to miss him so much. I’ve been trying to help him get ready for the move as much as possible since he is elderly and I likely won’t get a chance to see him again once he moves away. When he needs me for something, I drop everything, but that also means that other work is getting a little bottle-necked. I’m also starting to wonder WHY ON EARTH I went back to school! Of course I know why I went back to school. And I’m going to stay in school at least until I move back to NY because it really keeps me grounded. But, boy, is it making it hard for me to stay on top of stuff at this particular juncture. I did manage to get all my application paperwork together for the Screenwriters Lab I am hoping to get into in the fall (for women over 40). The application involved writing 2 essays that kind of wore me out. But I did it and submitted it, one day before the deadline. I felt good about the final product. That said, though — it’s a really good thing I didn’t know beforehand that they are only choosing 8 (!!!) women to attend the lab, or I would have been too intimidated to bother applying. It’s a very high-profile lab in NY. For some reason, I was thinking it would be more like a conference, with about 30 or 40 women selected. But, no: 8 will be chosen. 8 will go. Since I’m guessing that well over a thousand screenwriters applied, the odds are not super hugely in my favor, gang. But, we shall see!! I don’t know. Sometimes it feels like there’s all the time in the world and then things seem to be moving at a snail’s pace. Then, suddenly, you’re out of time!! And rushing around. How does that happen? Soon, enough, though, I will be in NYC, and not only for the reading. I’m going to get to see “my significant love interest,” at least for an evening. And for that, I cannot wait, gang. I bought a new dress and some new high heels… Luckily, he is tall. Because high heels make me about 6-foot-2. Okay, on that happy note… I hope you’re having a great Saturday, wherever you are and whatever you’re doing!! Enjoy the heat, gang. Thanks for visiting!! See ya!